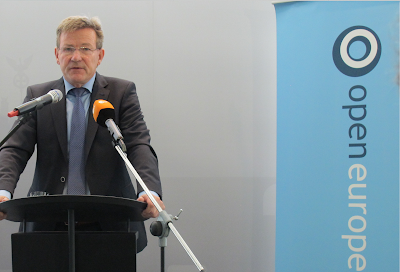 Open Europe Berlin was proud to host the Belgian Finance Minister, Dr. Johan van Overtveldt yesterday for a very timely discussion of the ongoing Greek debt crisis. 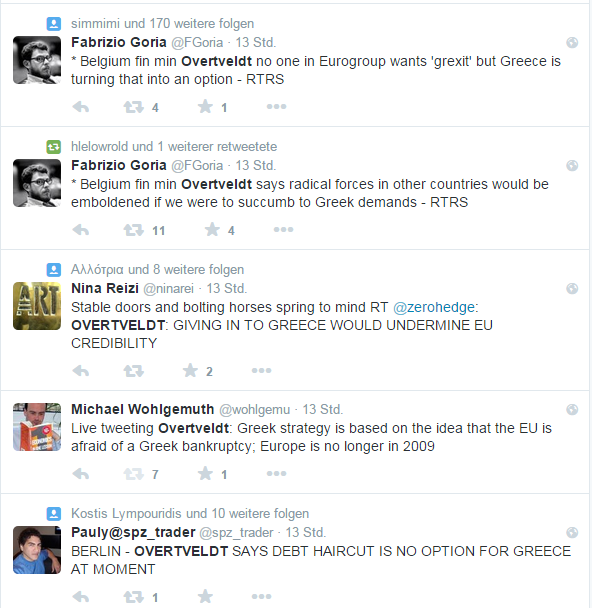 Overtveldt, widely considered a Euro critic, gave prepared remarks on the emergence of the Euro crisis and the Greek negotiations before answering more pointed questions on a “Plan B” for Greece if talks fail. 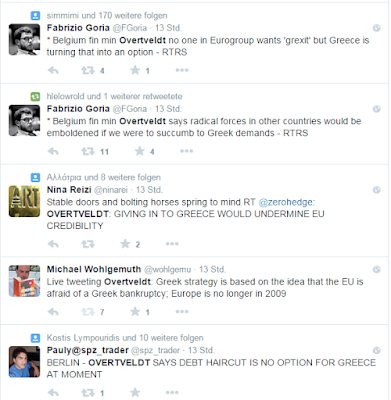 From the outset, Overtveldt was frank: the responsibility for the current impasse rests with Greece and Greece alone. He pointed out that that the reforms agreed with previous Greek governments still represented the best course for Greece to regain both economic growth and competitiveness. Other countries such as Ireland, Spain, and the Baltic nations had undergone reforms and internal devaluations only to emerge stronger. Their places within the Euro were not in question. Despite his previous opposition to the Euro, he asserted that the Euro must now be strengthened. Additional losses to sovereignty on spending and budget oversight are the necessary sacrifices for a more functional Eurozone, he said. Nor will Greece be the only country required to make these sacrifices; all Eurozone countries will have to abide by strict spending regulations and fiscal oversight in the future. “There is no free lunch in the Eurozone… [Greece] can’t have its cake and eat it too”. Perhaps more striking, given Overtveldt literally wrote the book on “the end of the Euro”, is his reluctance to criticise Eurozone policy. He made it clear that he and other Eurozone ministers had inherited both the Euro and the Greek debt crises. 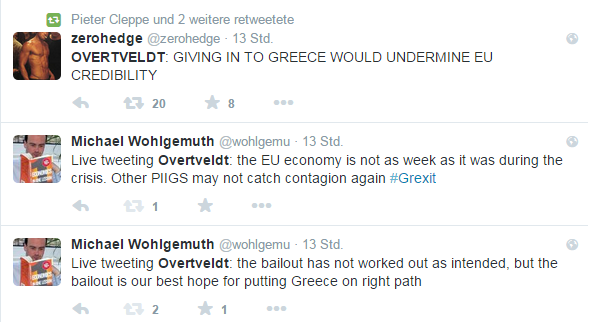 They want to keep Greece in the Euro but are in a much better position to handle a Greek default – or a Greek exit. Overtveldt said that Greece needed sign up to the previous agreements and that any exceptions made for Greece would be immediately seized upon by other member states that had undergone their own fiscal retrenchments. However, he kept rather mum on the current state of the negotiations. Greece had to prove its willingness to cooperate, but there was no Plan B. Or at least, he didn’t give one in public. The implication is clear: Any deal (or no deal) will be given autopsy in the media and the bond markets, not a vivisection. With the stakes so high, it is perhaps not remarkable that the minister is not about to break ranks with his Eurozone colleagues. 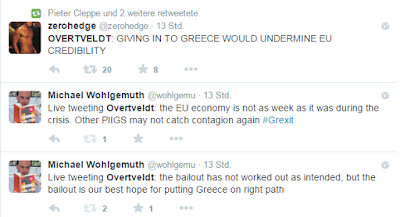 It seems that the Eurozone has closed ranks with Greece’s Alexis Tsipras remaining equally defiant and isolated. But with the IMF team said to be waiting to even examine any new Greek proposals, both sides seem to be waiting to see who will break first. It’s unlikely to be Dr. Overtveldt. John O’Donnell is Consultant at Accountancy Professionals and freelance journalist.